In 2015, FedEx and UPS moved to dimensional-weight pricing on most parcel shipments, and now less-than-truckload carriers are following suit. 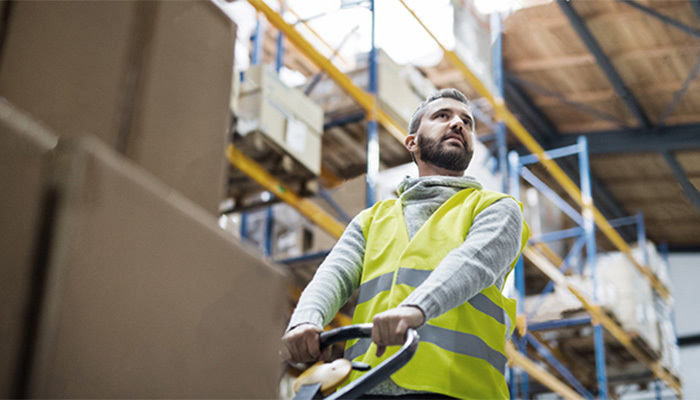 Major LTL operations like YRC Freight, XPO Logistics, FedEx, UPS, Estes Express Lines, Old Dominion Freight Line, and others are starting or planning to start offering dimensional-weight pricing as an option for their customers. On top of that, carriers are already using cubing and measuring systems to identify miss-classed freight for re-billing. In fact, if you ship through LTLs regularly, you’ve probably seen more billing adjustments in last few years than you did in the previous 10. So how can you protect yourself from these freight audits? The only way to reliably protect yourself from re-bills, is to start measuring all your LTL shipments before they’re picked up for delivery. If you elect to measure your freight by hand, just make sure to record your measurements on the bill of lading and have the driver sign the bill. It’s also smart to take photos of your freight (from different angles if possible) to show the condition of the shipment before it was picked up. By taking these precautions, you’re establishing a record, which can be used to defend your quoted rate if the carrier adjusts it down the road. What to do if you’re still getting audited? If you’re still getting re-billed despite taking the above precautions, your best option may be to invest in an automated cubing solution of your own. A dimensioner like FreightSnap’s FS 5000 will create a clean record of every shipment, containing the measurements, photos and weight of your freight (when paired with a scale) all in about five seconds. For high-volume shippers, this solution can pay for itself in as little as 6 to 10 months. Lower-volume shippers may want to explore more affordable mobile measuring solutions, or dimensioners with a reduced measurement range. FreightSnap can even design a custom solution specific to your freight and processes. Whichever dimensioner you choose, make sure it’s certified as “legal-for-trade” in your country. In the United States, you want a dimensioner that’s approved by NTEP (the National Conference on Weights and Measures). In Canada, you’re looking for the Measurement Canada seal. In much of the rest of the world, you’re looking for OIML certification, which 61 member states subscribe to. These certifications give your measurements credibility, and are much more difficult for carriers to refute. Not only that, but because you’re measuring with a certified device, your freight is far less likely to be audited in the first place. To learn more about automated cubing and measuring equipment, explore our solutions here.